I decided not to post every day — and I queued up a bunch of posts yesterday, so we’ve got a fun week ahead of us. Anyway, to continue . . . 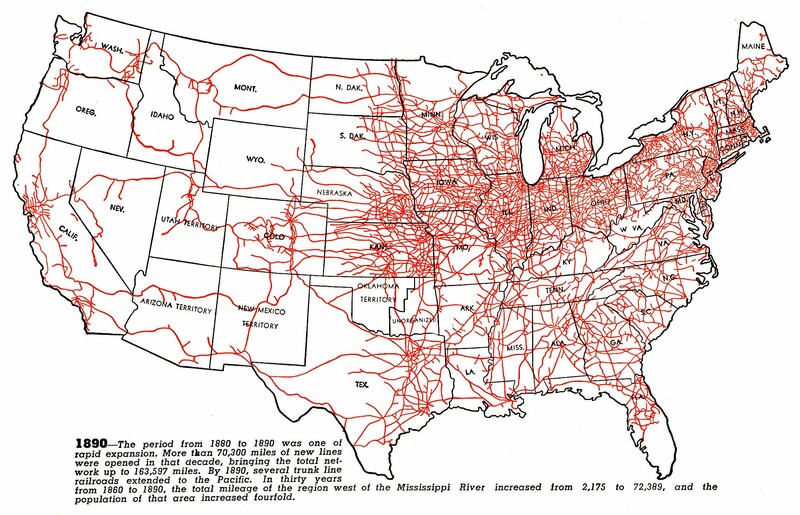 This is a map of U.S. train routes circa 1890 — look at all those red squiggles! All I wanted was to see how dense the railroad system was during that era . . . I didn’t expect it to be this dense. We’ll say that the train system of Elaro is certainly not this complicated. Of course, Elaro is probably the size of Arizona and New Mexico put together, so I guess it makes sense, comparatively. Okay so it doesn’t look as good as I want to. But I have some cities, and some rivers, and a lake, and some mountains. So I have a decent idea of where my characters are in relation to everything else.